While there are no economic reports in the US, Japan has published M2 Money Stock y/y data. 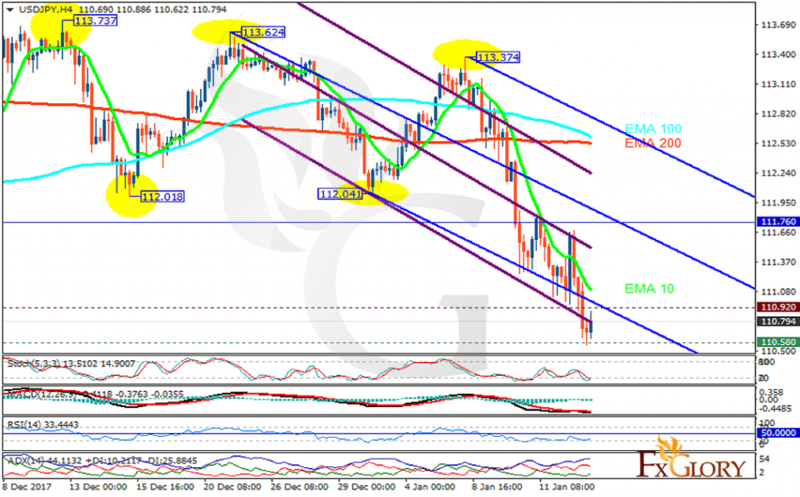 The support rests at 110.580 with resistance at 110.920 which both lines are below the weekly pivot point at 111.76. The EMA of 10 is moving with bearish bias in the descendant channel and it is below the EMA of 200 and the EMA of 100. The RSI is moving in oversold area, the Stochastic is moving in low ranges and the MACD line is below the signal line in the negative territory. The ADX is showing sell signal. The price will decline within Andrews’ pitchfork targeting 109.5.